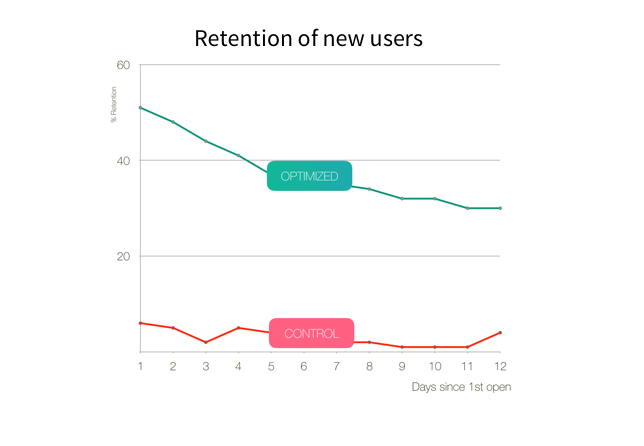 25% of new users will open your app once, never to reappear again. 80% will probably disappear in under three minutes use. Hence, it’s vital to optimize your app’s first-time user experience. And while it is easy to obsess over the number of installs or cost-per-install, ignore both and focus only on activation. What outcome do you need from the first time someone opens your app? Is it start a free trial (NYTimes), permission access to contacts (Whatsapp), follow a topic (Pinterest), book a flight (Ryanair)? These are all definitions of ‘activated users’. It is critical to 1) Agree a clear, measurable definition of what an activated user is, and 2) Remove all friction from getting new users there (preferably on first app open). If you run paid acquisition, know how much you pay per campaign and the ROI. 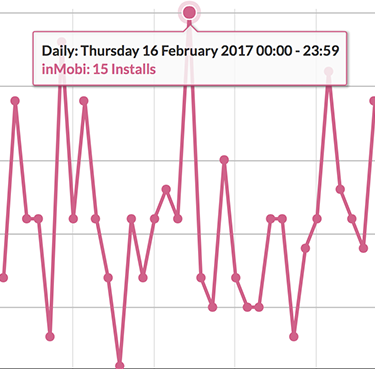 Track cost-per-activation, not per-install. 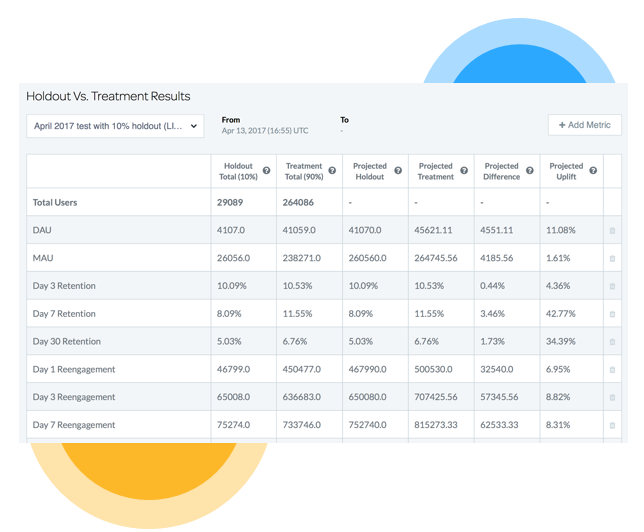 Swrve integrates attribution providers to make acquisition ROI measurable. Ignore vanity metrics. 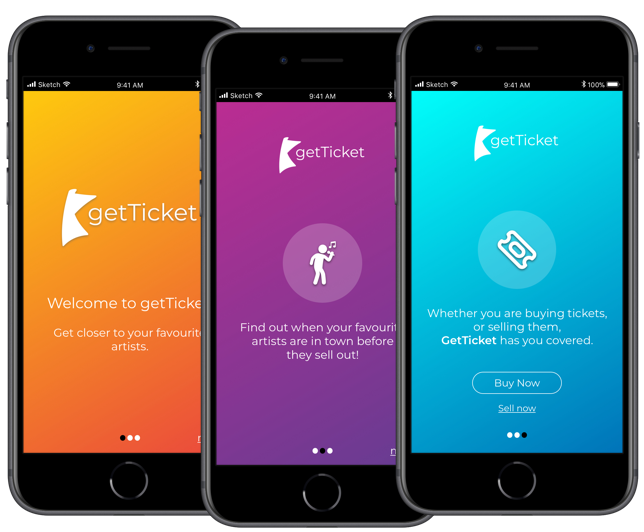 Use behavioural segmentation to focus on individual people and what stage they are at in their use of your app. For example: opened travel app for the first time this week; opted into location; yet to search for or book a first trip. 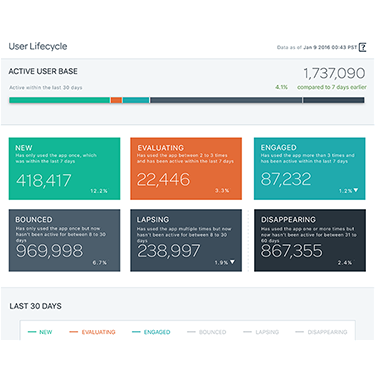 Visualise how often new users return and engage with your application. A/B test different flows and their impact. Do different acquisition channels retain better? Be mindful that different apps have different engagement cadences. DAU engagement is critical to an app like Snapchat, whereas QAU engagement is more appropriate to apps like Emirates. 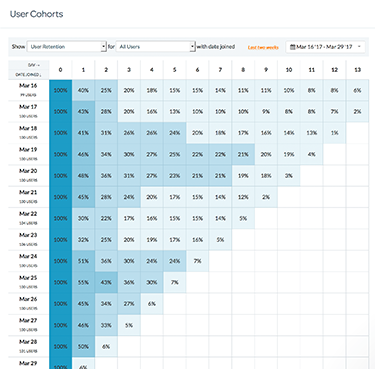 Take the number of new app users you acquire in a month. Divide it by the number of users who churned - i.e. stopped using your mobile service. If negative, turn off paid acquisition, and turn your attention to activation instead. The way First-Time User Experiences are designed and deployed is broken. Today you develop your app’s first-time user experience -> release to App Store -> review performance -> agree what changes are needed -> redesign -> release to development -> rinse -> repeat. Before you know it nine months will have passed. Free-up developers, and empower your growth team with the tools they need. Welcome tours are helpful - especially for more complex onboarding (e.g. Fintech apps). Use sparingly; too many pages results in users skipping through impatiently. Create a message schedule for the first few days after app install. Make it personal and valuable. For unactivated users, stay focused on activation messages. For activated users, switch to nurture campaigns such as feature discovery. Combine and sync push and email channels. 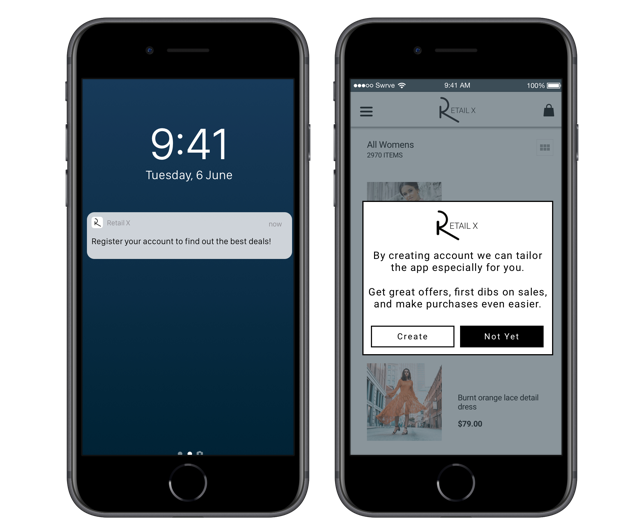 Floating above your UX, in pixel perfect harmony with your brand’s style guide, In-App Messages prompt users to take a core action that leads to activation. 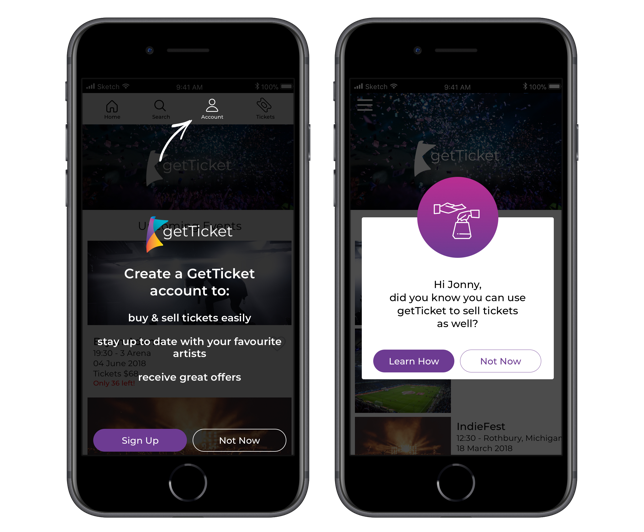 Tip overlays are messages delivered to users as they first explore the app. It is often most effective to point out key features in the context of an individual’s actual use of the app. Don’t be that app! You know, the one that jams multiple permission requests on first open, with zero context. First, you need to time when you make a request. 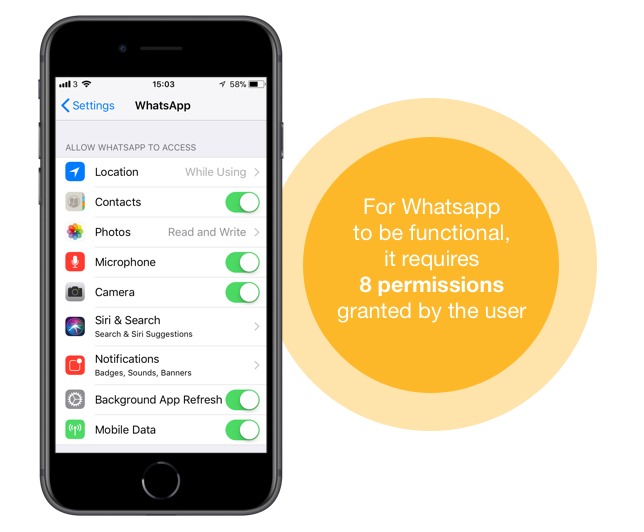 Second, explain clearly to the user why permission is needed. For example, a messaging app is useless without push notifications. Third, implement re-targeting for users who say ‘not now’. Obsessively test everything. 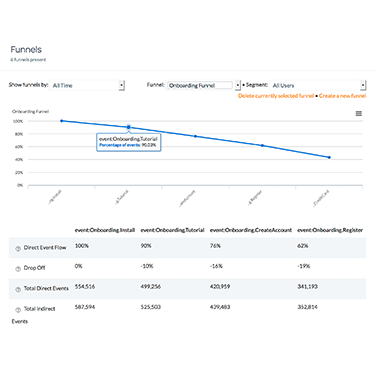 Find out what works better than others by comparing funnel and activation reports. Track activation outcomes, implement changes, and keep testing. 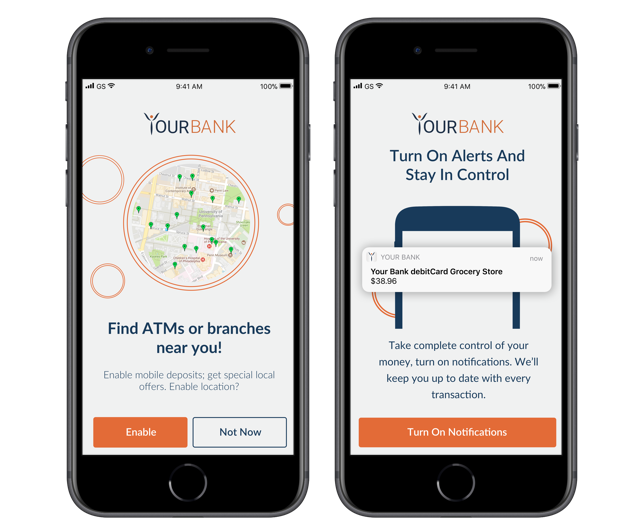 Swrve CMO, Barry Nolan, and VP Marketing, Tom Farrell highlight the importance of the first few moments that a user spends on your app, and offer tips on how to do it right.